The current EF-S 18-200mm f/3.5-5.6 IS lens is almost ten years old. Canon has patented a new version of this versatile zoom lens for APS-C camera. It aims to improve the image quality and add STM to the new model. 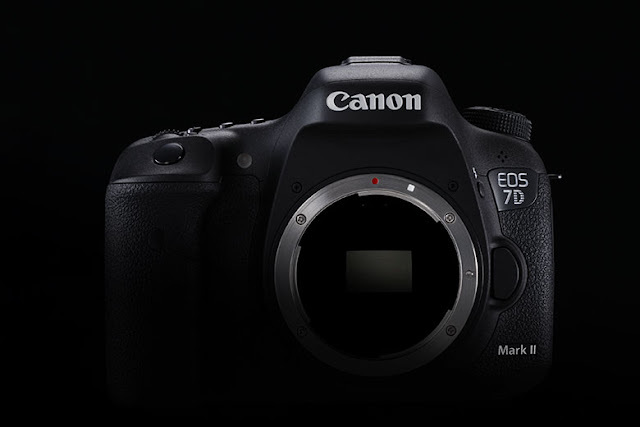 Just in time for the announcement of the EOS-7D Mark III camera some time in Q2 of 2018. Those interested in technology driven marketing & advertising in sports and entertainment verticals can remote control a simulated stadium camera offering easy breezy in-seat fan engagement experience. Brizi, the company behind BriziCam, will provide attendees the opportunity to test camera zoom capabilities of Canon cameras from a “field” away. As reported earlier, Canon has been working to improve its Super Telephoto lens in the past couple of years. The emphasis is on weight reduction and enhancing image quality with superior coatings and optics. Some time in 2018, the EF 600mm f/4 DO BR lens is expected to be announced. 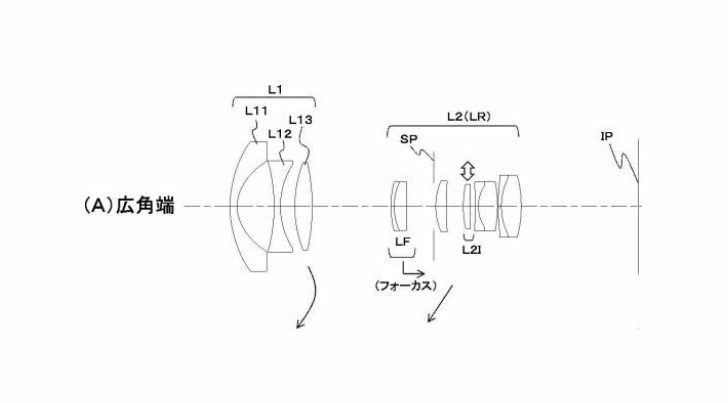 Below are a few new patents Canon has applied for in the Super Telephoto lineup. The 2018 Winter Olympics and World Cup are coming, followed by the 2020 Olympics in Tokyo. Canon is determined to make a showcase of their products in these worldwide, headlines-grabbing events. This patent appears to be two fold, lightweight (relatively here!) with a good correction of aberrations such as axis chromatic and chromatic aberrations of due to magnification. This element design most likely has IS, it's simply not labelled by Canon. Reduction of chromatic abberrations and secondary spectra (specific type of chromatic aberrations) are reduced in this patent. This element design most likely has IS, it's simply not labelled by Canon. DIfferent technique to reduce aberrations such as axis chromatic and chromatic aberrations of due to magnification. This element design most likely has IS, it's simply not labelled by Canon. This application changes the element location for focus to reduce weight, and also to reduct chromatic aberrations. This element design does not have IS, which probably makes it exploritory or defensive in nature. Below are a few recent Canon patents involving Mirrorless and DSLR cameras. My readers know from my previous posts Canon is ranked one of the top companies in patents filings. An imaging device includes: a semi-transmissive mirror that can turn between a first position where subject light is separated to an image pick-up element and a finder and a second position retreating from an imaging optical axis; a light block member that is present at a position not blocking the semi-transmissive mirror when the semi-transmissive mirror (13) is present at the first position, and is configured so as to block the semi-transmissive mirror from an imaging optical axis side when the semi-transmissive mirror is present at the second position; and eyepiece detection means that detects whether a photographer looks into an eyepiece part of the finder. When it is detected by the eyepiece detection means that the photographer does not look into the eyepiece part, the imaging device is configured to move the semi-transmissive mirror and the light block member to the second position. A manufacturing method for an optical member includes: a step of applying dispersion liquid containing particles and dispersant on a base material; a step of, after applying the dispersion liquid, applying a solution containing a binder forming component and causing the solution to enter the space between the particles included in the dispersion liquid applied previously, so as to form a single layer having the binder filling the space between the particles; and a step of drying the layer to form an anti-reflection film. The solution contains a silane alkoxy condensate with an average particle diameter of 8 nm or more and 60 nm or less. The solution contains 70 mass% or more of a solvent whose water solubility is 10 wt% or less. The present invention relates to a solid-state imaging apparatus comprising: a pixel part; a signal generating part for generating a first ramp signal of which the signal value is changed by a first amount of change per unit time and a second ramp signal of which the signal value is changed by a second amount of charge greater than the first amount of change; and a conversion part which uses the ramp signal from the signal generation part to perform analog/digital conversion on a signal from the pixel part. The signal generation part includes a capacitor part, a current supply part and a charge emission part. The current supply part is connected to the capacitor part and charge is accumulated in the capacitor part, thereby generating the first ramp signal and the second ramp signal. The capacitor part and the charge emission part are connected, thereby emitting the charge accumulated in the capacitor part to the charge emission part. A resistance value of an electrical path between the capacitor part and the charge emission part in generating the second ramp signal is smaller in relative to that in generating the first ramp signal. The zoom lens includes, successively arranged from an object side to an image side, a first lens group having a negative refractive power and a rear group having at least one lens group and having a positive refractive power as a whole. The first lens group is composed of an 11th lens element having a negative refractive power, a 12th lens element having a negative refractive power, and a 13th lens element having a positive refractive power. A focal length fw of the whole system at a wide angle end, a back focus skw at the wide angle end, and a focal length of the 12th lens element are each appropriately set. An imaging apparatus comprises: an imaging element; an element substrate on which the imaging element is mounted on a subject side becoming a front side and an electronic component is mounted on a back side; an element holder positioned and fixed to the imaging element; a base member to which the element holder is fixed by a spring member; and heat radiation members and which have heat absorption parts and, are brought into contact with at least a back of the element substrate and fixed to the base member by the spring member with the element holder. The heat absorption parts and are arranged so that they do not protrude to the back side in an optical axis direction from the electronic component. DXO purchased the Nik Collection from Google a few months ago and is planning to re-release the software collection in 2018. 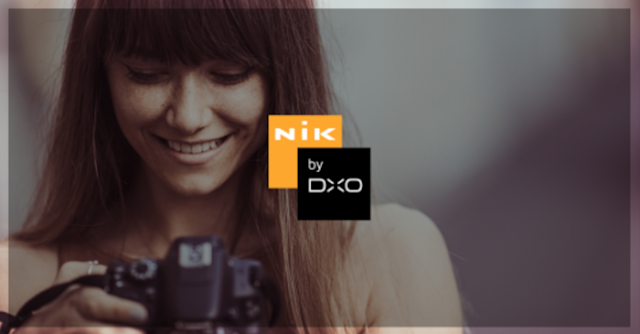 We at DxO are very pleased to welcome the Nik community! We wish you a very happy holiday season and a healthy and prosperous New Year: may you be inspired to take spectacular photos in 2018! I am not sure how many photographers will be interested in buying a new, non 'L' zoom lenses for their full frame camera but Canon has patented the EF 17-35mm f/4-5.6 IS STM design. It appears to be slow and may be more appropriate for the APS-C sensor cameras. My readers know me as The Wildlife Ho-tographer. I have been using Canon equipment for almost three decades. Through the years, I have owned and used almost all of Canon professional and consumer grade gear and have tested many of them on global wildlife photo tours. As you know, I have picked the EOS-7D as the best APS-C camera on the market for action and wildlife photography fours years in a row after it was announced in 2009. The Mark II model came out in 2014 followed by the Nikon D500 in January, 2016. Although the Mark II camera is a dramatic improvement over the earlier model, the Nikon D500 gave the Canon camera a real challenge and of course, the EOS-7D Mark III is just 'around the corner'. The test cameras are already out of the labs and into the wild for beta testing. There are crazy rumors flying around saying the new camera will have a 30MP sensor and burst rate of 12+ fps, etc. Frankly, that is a lot of photography noise so early in the guessing game. The trend in the past few years has been to speed up the replacement cycle of higher end cameras. Since the EOS-7D has always been the leader in Canon's APS-C camera lineup, it is very logical the Mark III will again come with a new generation of APS-C sensor. Many photographers are clamoring for everything under the sun and a list price of $1,499. One has to be more realistic about the business of manufacturing photography equipment. Canon is a conservative and deliberative company. They rarely try to be the first in new features but there are some tried and true features like illuminated buttons that have appeared on other manufacturers' cameras for years. A recent patent from Canon shows they have finally made that 'leap'. My personal opinion is the Mark II is already a very good camera but a few improvements will make it an even better prosumer DSLR body. I expect the Mark III model to arrive some time by the middle of 2018. A slight increase in megapixels, low to mid 20s for the sensor. Sony announced their CineAlta VENICE 6K camera in September. Canon will most likely announce a 6K camera some time in the first half of 2018. 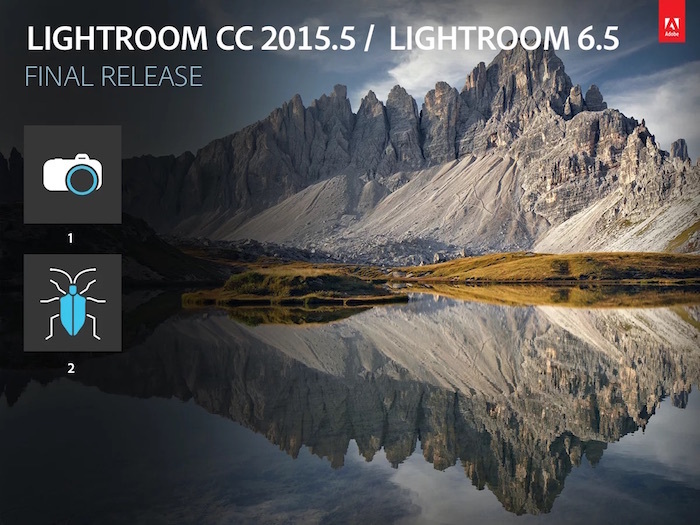 The new camera may be known as the C900 and comes with a new, slightly larger than 35mm, 6K image sensor. 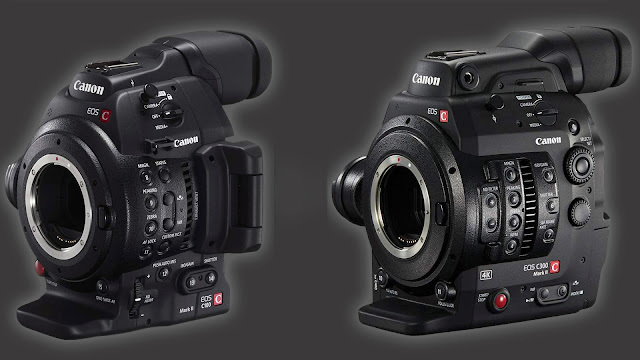 The NAB Show is in April and Canon may announce the new C900 camera around the same time. 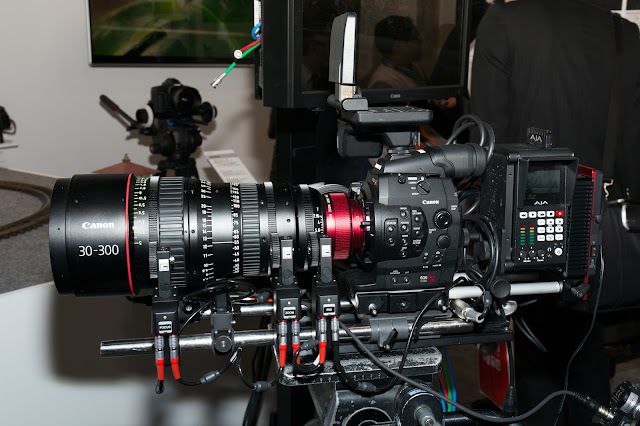 My readers will recall Canon showcased their 8K camera back in 2015 during the Canon Expo Show in NYC. They may be ready to showcase the camera and technology again in the Winter Olympics in PyeongChang, South Korea in February. The joystick on the camera's grip unit can be set to operate the zoom. Manual control of the iris with Camera's Control dial. Control of focus, zoom and iris using the separately-sold Remote Controller RC-V100. Automatic aperture and push auto iris functions. Start/stop recording on the separately-sold lens grip ZSG-C10. Retrieval of Lens metadata, such as the model name and the focal distance will display on the camera. When the camera is turned off the IS mechanical lock will be active regardless of the position of the switch. Support for LCD monitor LM-V1*1,2 (separately sold) has been added. Autofocus using the Dual Pixel CMOS AF function. Displaying the model name of the lens when attached. Support for Peripheral illumination correction. Manual control of the iris with camera's joystick. 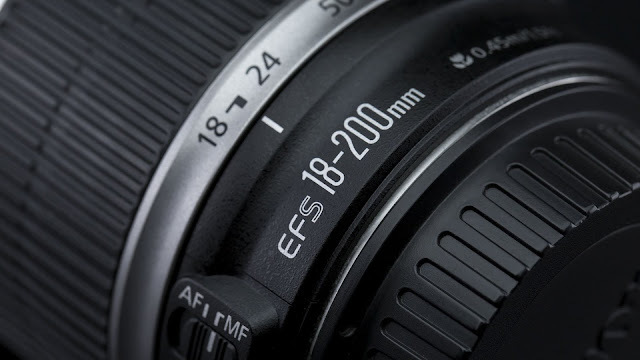 How Does A Modern DSLR Camera Phase Detection Auto Focus Works? There is nothing more annoying than an image out of focus. The video below explains how modern day DSLR handles auto focusing. If you haven't noticed, brands like Nikon and Sony like to brag about how many hundreds of AF points they have on their cameras. The important metric is not how many but what type of AF points and what aperture can the points can focus down to. I just came back from a wildlife photo shoot in India. Went there to photograph the Bengal tigers and Asiatic lions. We are excited about the December update, and can’t wait to hear your thoughts and feedback.